There are no wrong ways of spelling Phi Phi Island because the local language uses the Thai alphabet and westerners using the Roman alphabet can hear it and spell it differently. Spme have preffered 'Pee Pee' but the accepted form of 'Phi Phi' or 'PP' is definately the most popular now. In the beginning there were two main ways to spell the island and they were Pee Pee or Phi Phi. Pee Pee came from the Italians who first visited the island. They still use this spelling. Pee Pee Island Village Resort and Pee Pee View Point were named under the influence of this spelling. Now it is spelt as in Phi Phi Island Village Resort And Spa. The majority of the other hotels use the Phi Phi spelling like Phi Phi Hotel, Phi Phi Cabana Hotel, the entire list of Phi Phi Hotels can be seen here. PP Charlies and PP Paradise Resort were the resorts that first used the PP spelling and more recently Phitharom PP Resort, PP Erawan Palms Resort and PP Casita have used it. Koh is the Thai word for "Island" but is sometimes written as Ko. Ko is more dominant among German websites. 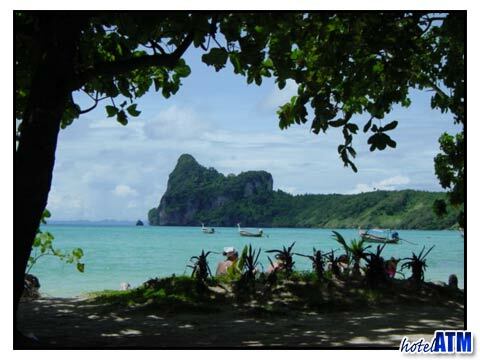 There is no definitive spelling for Phi Phi island but the most frequent spellings are Phi Phi Island or Koh Phi Phi. Searching for the island on the internet there are 2 caveats. Phi Phi is the name of a singer from South America and often comes up in search results. Phi as pronounced as if a Greek letter is used in the names of many American college fraternities and sororities.